The city of Montpellier has a special sparkle in the run-up to Christmas, when night falls early and festive decorations light up the streets in the heart of the city. I shot videos of all the sites I visited, so here are two of the Arc de Triomphe – if you receive this blog by e-mail, you may have to visit the blog page, in order to watch the videos. The amazing light show turned the building into a futuristic spaceship, which took off for a flight through space! The theme for the show at this building was a magical circus, with strong men pushing pieces of a giant puzzle into place. Have a look! At the church of Notre Dame des Tables the students of the Montpellier School of Art and the Montpellier School of Computer Graphic Animation and Visual Effects had been given free hand. Their work was varied and highly entertaining. Not far away was the Musee Fabre, where the show drew inspiration from some of the great paintings which are on display in the museum. The show made you believe at times that the building was really moving! As it was getting later, it became time for something to eat!! My companions found a Lebanese restaurant in one of the side streets near the railway station. The place was buzzing and warm, and we had a wonderful meal! Meze to start with, followed by a large grill platter – very tasty and plentiful!! The restaurant is called Al Manara, and you can find their website here. The meze dishes were tabbouleh, hummus, aubergine caviar, cucumber with yoghurt, and beans with tomatoes. On the grill platter we had grilled chicken breast (marinated beforehand, tender and juicy! ), lamb kafta (minced lamb with onion and parsley), chawarma (a kind of kebab, with a wonderful sauce), as well as tasty rice and some salad. There wasn’t room for dessert!! But there was time for one last light show, at the Eglise St-Roch! The facade of this church transformed into a kind of factory before our very eyes! As this is the last post for this year, I’d like to take this opportunity to wish you all a very peaceful and happy festive season!! See you next year, I hope! 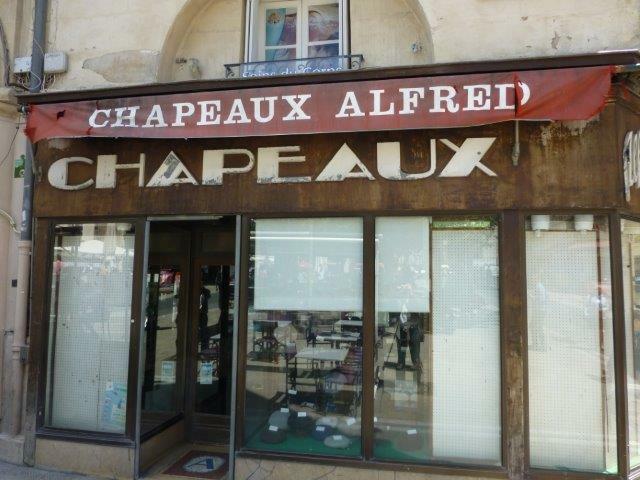 I made a note of the name of the restaurant and looked up where it was, and the next time I was in Montpellier I went to eat there. Fou de Sud loosely translates as “Crazy for the South”, and the place is more of a concept than a restaurant. The name may be a bilingual double-entendre = “Food de Sud” — because that’s what it’s all about, much more so than the straight French meaning (thank you Annie!). The restaurant is part of a “market hall”, which was started by seven associates, each an expert in his field, with the aim of showcasing the best food products the South of France has to offer. Appropriately, the establishment is in the building of the Sud de France marketing consortium, which promotes products from the South of France all over France and worldwide. The building appears to be brand-spanking-new, and it is very striking! Unfortunately, the access to the car park is a little tricky; blink and you miss it, or in this case, I missed it! 🙂 But I got there in the end!! The market hall is large and very well stocked, both with groceries and fresh produce. The meat and fish counters were very inviting and tempting! One of the ideas behind the concept is to sell from producer direct to consumer, bypassing the traditional distribution methods and reducing the carbon impact of food and shopping. 80% of the items for sale are produced in the South of France, and there are around 2000 different types of product from over 50 producers. Since the weather was beautiful, I decided to have lunch outside. The restaurant has a terrace which is surrounded by glass, and which can be covered with sails for shade. As you can see, it was pretty busy! The food was delicious too!! Before you ask – no, I did not eat all this by myself – there were two of us!! 🙂 I’m not normally a fan of raw meat, but, having seen the meat counter, I knew that it would be perfectly fresh, and it was incredibly good!! The fries were very good too! And can you tell which dessert I had?? Of course the chocolate one – and it was pretty spectacular! All in all a very good meal and a great place to stop at, if you are in the vicinity! 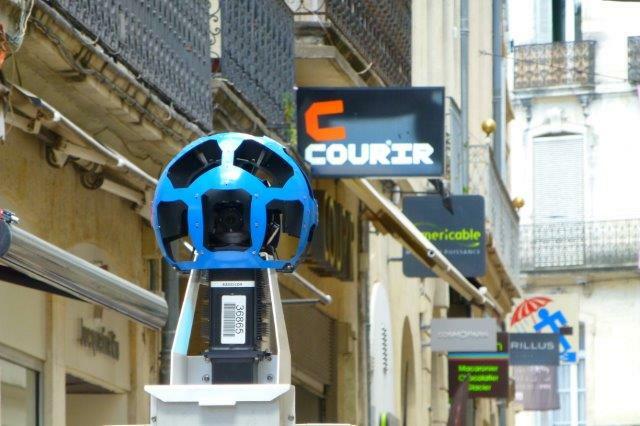 Fou de Sud is located at 3840 Avenue Georges Freche, 34470 Perols (a suburb of Montpellier). Have you ever been g**gled? 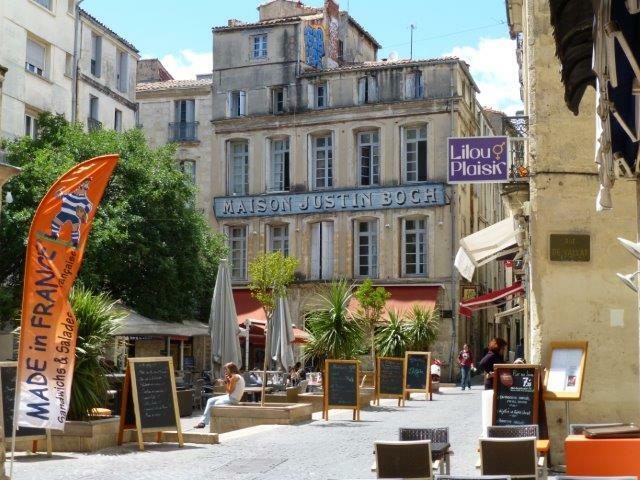 Earlier this year I visited Montpellier – perhaps there was a specific reason or perhaps it was just for a day out, I don’t remember. 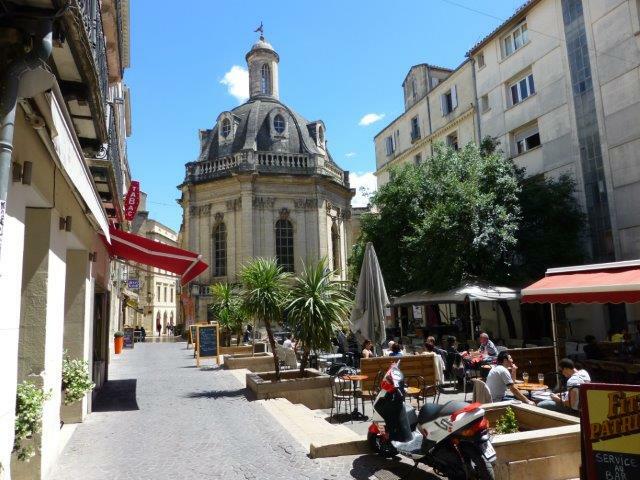 The weather was beautiful, and as it got nearer to lunchtime I headed for the Place de la Comedie, a beautifully open square in the centre of Montpellier. The square is lined on opposite sides with beautiful buildings, with the most impossibly ornate facades. Some of the detail on those facades is just amazing, and not really visible or able to be appreciated with the naked eye – you really need a very good zoom lens or a magnifying glass!! 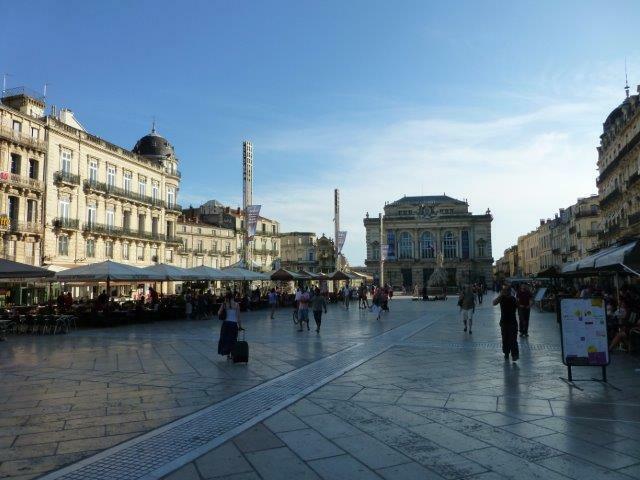 The third side of the square is occupied by the Opera Comedie, Montpellier’s municipal opera house and theatre. As you can see, it’s pretty grand! The fourth side is open, and leads towards the Polygone shopping centre, as well as the Esplanade, a beautiful tree-lined area, linking the Place de la Comedie with the Corum, the new opera house and performing arts centre. To the left of the Opera Comedie stands the Grand Hotel du Midi – you can see the gold mosaic from that building in the first gallery of pictures above. Walk past the entrance to the hotel, down the side of the theatre, and you get to the Brasserie du Theatre, which is in the same building as the hotel. The restaurant has a very unassuming frontage onto the street, just a door really, leading into a little foyer, from which stairs lead up to the restaurant. The interior of the restaurant is very much belle epoque, with mirrors and plaster work everywhere. I felt too self-conscious to take pictures of the interior – I’m sorry!! You can see some good shots of the interior on this site. 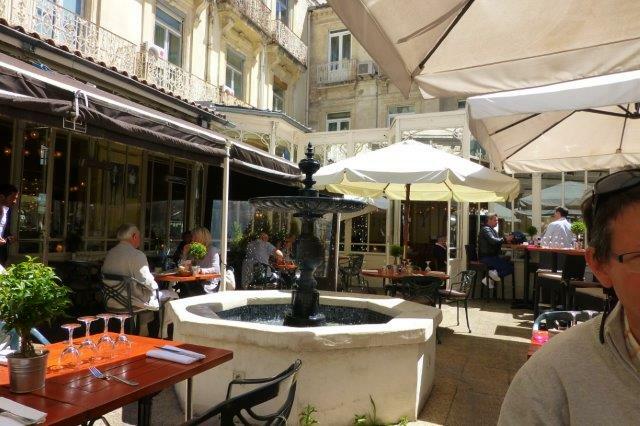 The weather was so nice that lunch was being served on the terrace. 🙂 The terrace is on the first floor, so from the street you don’t really see it. The fountain in the centre was a nice touch, and added to the great ambience. The midday menu was very reasonably priced at 15.90 EUR for two courses, and it included a glass of wine. My dining companion and I decided to forego the starter and have dessert instead. 🙂 The steak was delicious, and the salmon was cooked to perfection. The dessert of the day was tiramisu – yummy!! The amazing building above is the Hotel des Tresoriers de la Bourse, which dates from the 17th and 18th centuries. Then there are of course the wonderful door knockers. If you read this blog regularly you’ll know that I have a kind of fetish for door knockers! 🙂 The variety is seemingly endless, and only limited by the fantasy and imagination of whoever designed and/or made them. The Hotel Saint-Come is today part of the headquarters of the Chamber of Commerce. The tourist office offers guided visits of the building in its program – I’m going to try and book that for a future visit. Down one of the side streets I found this wonderful glass veranda. Look at the detail from the tiled frieze. And then it was back to the Place de la Comedie, where it all started.